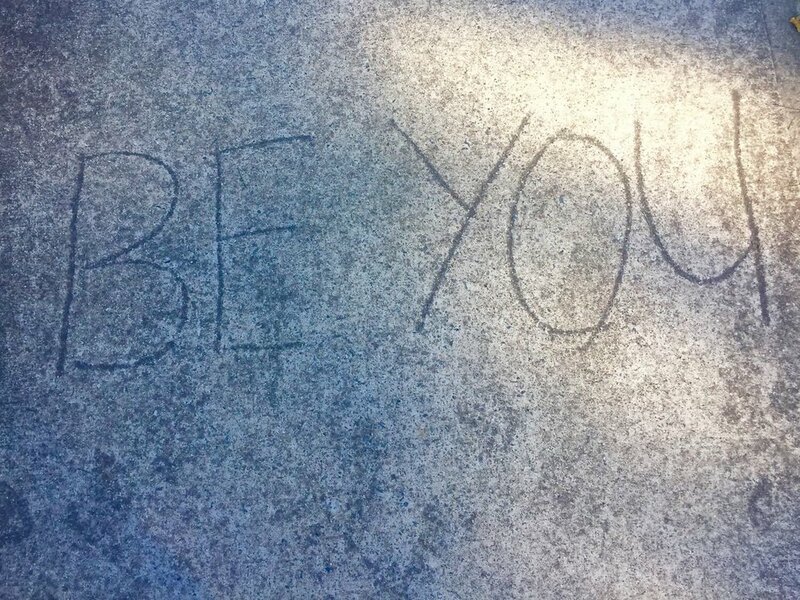 Then why is it so hard to ‘be you’? A lot gets in the way, if we let it. Other people and their opinions of us. Our inner critic yabbering on with expectations. The voice of old from loving or not so loving family. Friends that became enemies. Enemies that never became friends. Life taking a turn or toll on us. It’s all too hard sometimes. The media that shows and tells how perfect to be. Haters that we let get in our ear more than they deserve, which is never. A lack of belief in self. Too many failures or only a few with too much focus on them. Can you see. We let so much get in the way. Don’t we? Thank you to the people who care enough to have an opinion. I appreciate your concern. However, for me right now your view of how I should be is not relevant. I hear you, inner critic. I hear you and acknowledge you. Yes, you are allowed in the conversation of my inner dialogue. But you are not in charge. All those people from my past your words can no longer hurt me. You are entitled to your beliefs and attitudes as I am mine. So now it is about mine. I am not you, you are not me. For those of you that taught me so much I appreciate you being part of my life. The journey of life is made from the friendships that form, stay or dissolve. Learning shapes who I am now. Thank you. If you never were my friend in the first place then I am sorry to miss out. If there is now a rift then please forgive me as I forgave you a long time ago. Oh life! You are a constant surprise. The gifts and the challenges. Just when we reach the peak you show us the valley. Then we walk along the deepest ravine you somehow lift us back up higher than before. These turns are tiring but they do not have to be. Knowing that life is about the journey we celebrate the opportunities to grow. Surrender. Surrender. Surrender. Sometimes it is simply easiest to throw hands in the air and let go. Then when there is no longer any attachment, expectation, desire a new direction emerges, a new way comes. Who would have known? Certainly not me when I was complaining that it was too hard. Oh media, darling. You taunt me and tempt me to step out in ways that are not me. I try sometimes. When I do this consciously, for fun it is a good experiment. When I also take no heed of your beckoning gesturing call I am perfectly fine going about my own business. Your business will survive when you care about my business too. Tuning out is easy when someone wants to hate. You just don’t listen, nor pay any attention nor give a second’s notice to the unfounded rants and spite that may get thrown your way or bounce off another and hit you. Off you go. It is time to be a cheerleader for a team of one – me. I just have to do it. Don the uniform, grab the pom poms, recite the cheers. I do believe in me. Then you will see and believe in me too. Failure is not a dirty word. Who made it that? Who decided to make it a societal faux paux to ever admit defeat or make a mistake? So, did no one ever fail? Of course not. Such crazy logic to focus then on our failures. So maybe to be you is actually simple, if we simply remember to 'be me'.